The Westport Inn is an Italianate Victorian Style home, built in 1879. The building features distinctive Cream City Brick, which was given to Dr. & Mrs. Richard K. Paine as a wedding gift from Mrs. Paine’s parents, Dr. & Mrs. Patchen. The Inn is rich in history, add the perfect place to unpack your bags for a getaway in beautiful Manitowoc, Wisconsin. Our lodging is conveniently located on the northern edge of Manitowoc’s historic downtown riverfront and is situated within walking distance to Manitowoc’s scenic Riverwalk/Lakefront area, and many of the downtown attractions. It’s the perfect place to rest while enjoying this charming Wisconsin town. After a good night’s sleep on lavender scented, crisply ironed linens, you’ll awake to the beckoning aroma of our freshly brewed European Blended Coffee. A full four-course candlelight breakfast is served each morning in our elegant dining room. Our rates include a full course breakfast at the hour of your choice. 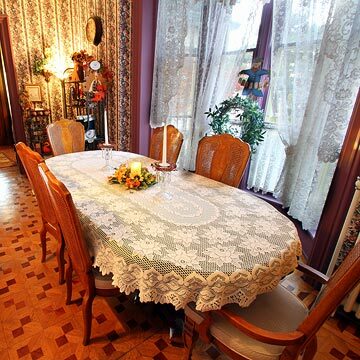 Throughout your stay, feel free to wander around and discover the secrets hidden in the dumbwaiter, and delight in history amidst the antique furnishings and heirloom family portraits. 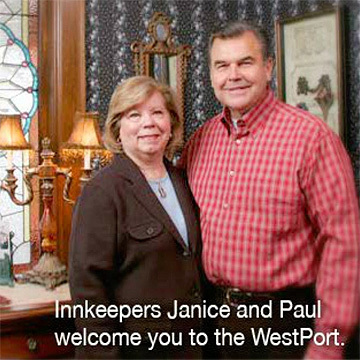 For our guest’s comfort, the Westport Inn is a smoke-free environment. For an added element of historic accuracy, our guest rooms do not have phones. However, there is a “House” phone in the front foyer that you are welcomed to use as the need arises. Our rates include full breakfast at the hour of your choice. For our guest’s comfort, WestPort is a smoke-free environment and our guestrooms do not have phones. There is a “House” phone in the front foyer. 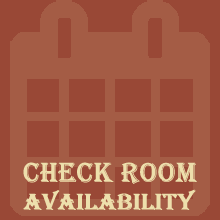 Click Check Availability for price and availability of dates desired. Rates are per night & include full breakfast at the time you choose, double occupancy, plus taxes. Visa, MasterCard, American Express, Discover and personal checks or cash accepted. Cancellations must be made prior to seven days before your scheduled date of arrival or one night’s lodging will be applied to your credit card. Some weekends & holidays require a two-night or longer stay (i.e. Thursday/Friday, Friday/Saturday, Saturday/Sunday). Click Check Availability to see if applicable to your desired date(s).